Fernhill staircase parts are ideal for refurbishing your old staircase or designing and building a new one when you want to produce a grand impression in your hallway. These parts are available in a choice of stunning timber; pine, hemlock, southern yellow pine, White ash, white oak, and sapele. Newel bases are used to form newel posts of various sizes to suit your staircase design perfectly. 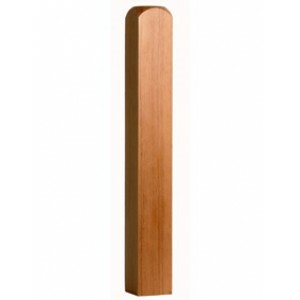 the newel base is the square parts of the newel post, giving it a strong and stable structure. These bases are available in various height options.